Pop-up displays aren’t just plain back walls anymore. You can build a pop-up display with custom features to make your pop-up more functional than ever before. And, pop-up displays still remain one of the most popular trade show booth solutions on the exhibit floor today, because of the flexibility, affordability and the ease of shipping, installation and storage. Order your pop-up display in a variety of sizes and configurations. 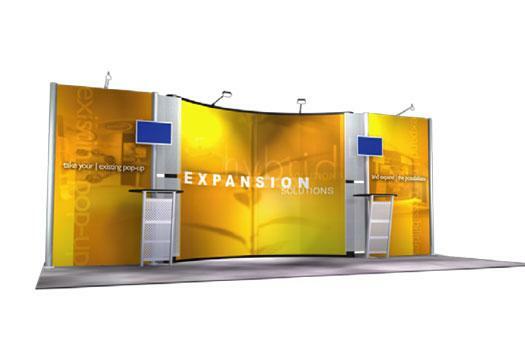 E&E Exhibit Solutions has pop-up displays available in table top, 10×10, 10×20 and even 20×20 and larger island sizes. 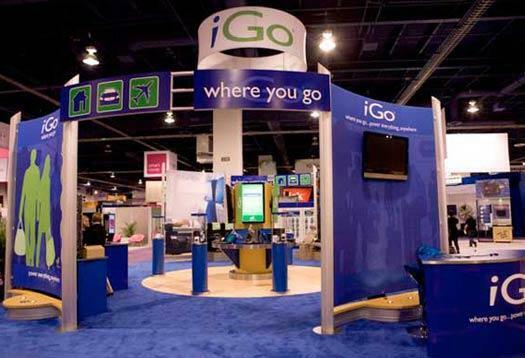 Why are Pop-Up Displays from E&E Exhibit Solutions the right choice for your business? 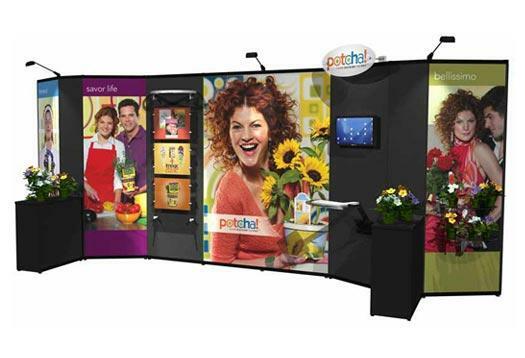 Variety: Pop-up displays come in so many configurations and sizes. Ease of set-up: One person can set up our pop-up displays regardless of size and no tools are necessary! Graphic Options: Pop-up displays are available with large-format graphic panels or as tension fabric pop-up displays– perfect for displaying your corporate logo and brand messages. With fabric panels, simply attach graphic posters with Velcro and easily change your graphics when necessary. 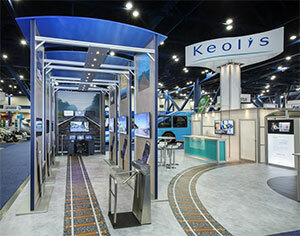 Large-format graphic panels turn your pop-up display back wall into a large mural for big impact. 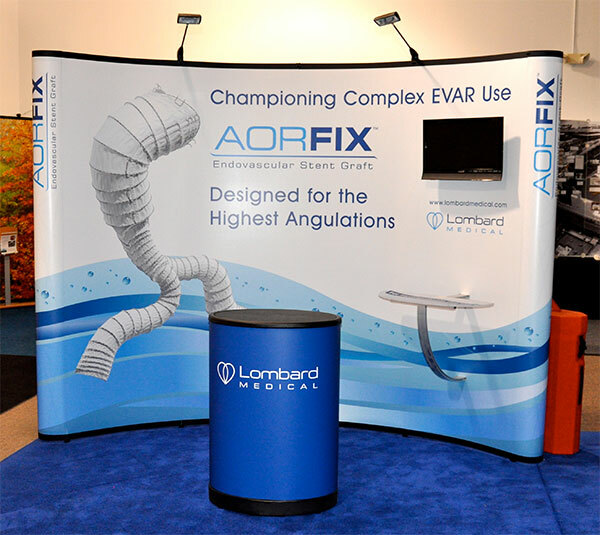 Flexibility: Pop-up displays work in tandem with so many accessories so that you can customize your exhibit differently each time. Add custom stand-off graphics, integrated counters with storage, flat-panel monitor mounts and more! Lightweight: The foundation of our pop-up displays is a self-locking, sturdy and lightweight aluminum frame with self-aligning magnetic channel bars. And, most of our pop-up display frame models come with a LIFETIME WARRANTY! Portable: All of our pop-up displays come in compact, sturdy cases with wheels, making them easy to transport and safe to store. 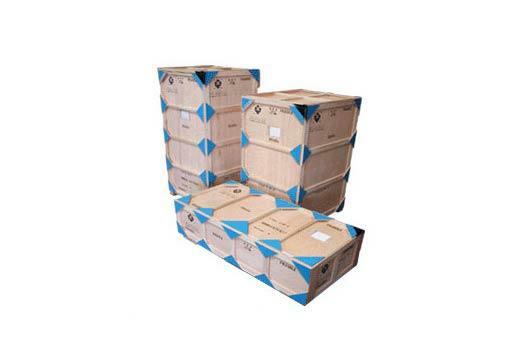 Ship with a common carrier such as FedEx or UPS or transport your pop-up locally in your vehicle. Going Green? 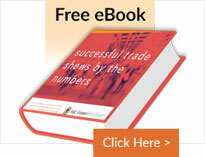 So is E&E Exhibit Solutions. 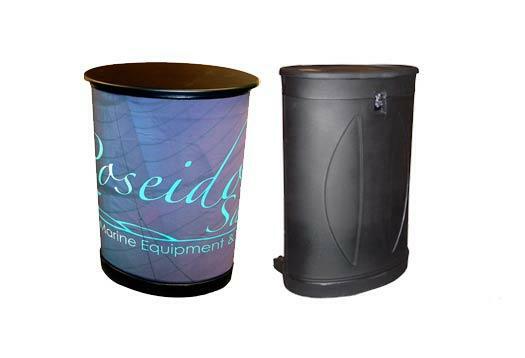 We offer green displays made from eco-friendly, sustainable and recycled materials. In addition, we can produce green graphics made from recycled materials and printed with water-based inks. Have a question about the right pop-up display for your needs?